Surprise is located along US 60 in Maricopa County, Arizona. The city of is the second fastest-expanding municipality in the greater Phoenix metropolitan area (after Gilbert). Located about 45 minutes from downtown Phoenix, Surprise has a total area of 85.6 square miles, of which, 85.5 square miles is land and 0.04 square miles is water. 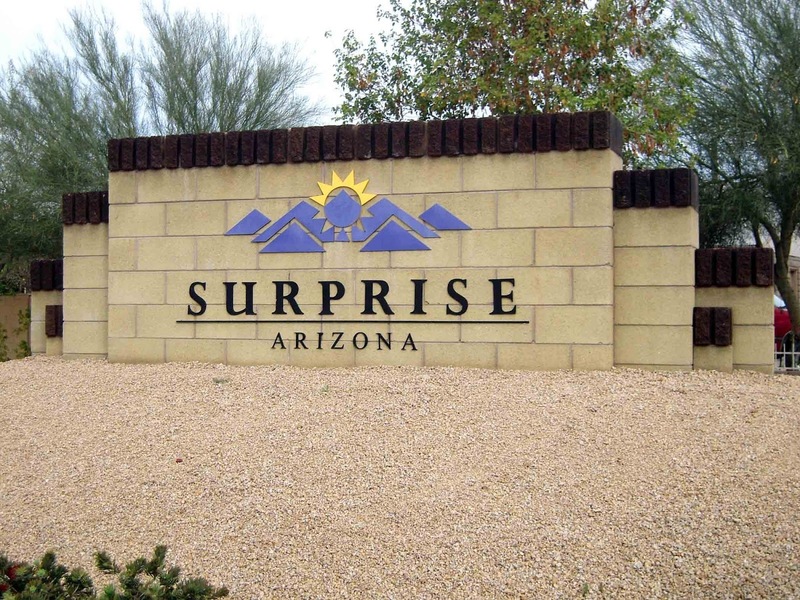 The 5 zip codes for Surprise AZ Real Estate include: 85374, 85378, 85379, 85387 and 85388. Over the years, Surprise has worked hard to attract and retain great employers including: computing, manufacturers, pharmaceutical, bio-tech and information technologies companies. When it comes to shopping, Surprise offers a variety of independent and big chain stores in nice shopping centers. When dining out, Surprise has a variety of local choices from quaint family owned restaurants to large chain favorites like Chilis, Applebees and Black Angus, just to name a few. The city has a 10,562 square foot Aquatics Center and $5.5 million, 20,000 square foot regional library. Surprise is also the spring training home of Major League Baseball teams - the Kansas City Royals and the Texas Rangers. Both use the Surprise Stadium for their activities. Along with Major League Baseball, Surprise is home to the Surprise Tennis and Racquet Complex (STRC), which hosts various professional events throughout the year. Golf courses close to Surprise include: Arizona Traditions Golf Club, Cimarron Golf Course, Desert Springs Golf Course, Granite Falls Golf Course, Great Eagle Golf Course and Happy Trails Resort. Consistently rated as one of the safest cities in the Southwest, residents of Surprise AZ real estate say they love the small town feel. It's no wonder that 9 out of 10 residents say they would recommend Surprise as "a great place to live and raise a family." 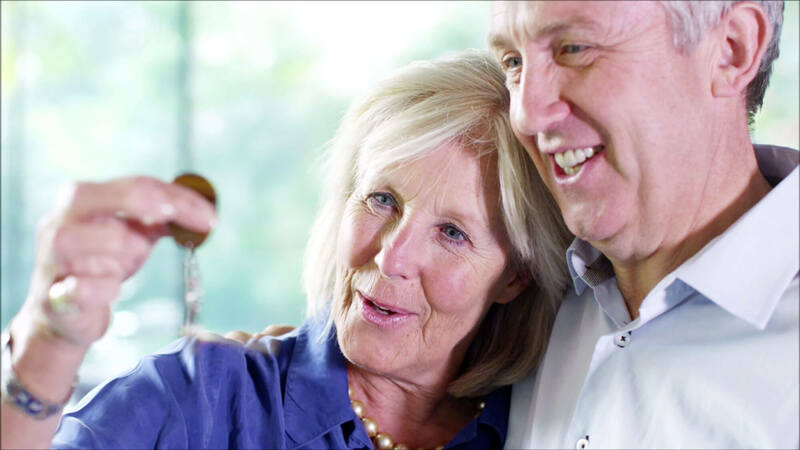 Surprise has a wide range of housing options to choose from. The median home value is $181,500 with home appreciation at 17.80% over the last year. The median age of Surprise AZ real estate is 9 years. Renters make up 19.38% of the population and 17.74% of houses and apartments are unoccupied (vacancy rate). As of 2014, the population of Surprise is 115,007 with 1,088 people per square mile (population density). The median age is 36. 64.64% of residents are married and 10.74% are divorced. The average household size is 2.8 people. 35.06% are married with children, and 14.44% have children and are single. Surprise gets about 7 inches of rain per year and zero snow. The number of days with any measurable precipitation is 27. On average, Surprise AZ real estate owners enjoy 301 magnificent sunny days per year - with July highs around 106 degrees and January lows around 40 degrees. The comfort index, which is based on humidity during the hot months, is a 45 out of 100, where higher is more comfortable (The US average is 44). Dysart Unified School District (DUSD) serves a portion of Sunrise. DUSD is dedicated to serving the needs of all children with high quality educational services, including: before-school and after-school programs, community education classes, and a variety of services for the entire community. Click here for a list of schools within the district, including: website links, physical addresses, and phone numbers. Click here for a directory of higher education colleges and universities near Surprise AZ homes for sale. The top ten employers (in order of number of employees) in Surprise include: Dysart School District, Walmart, City of Surprise, Fry's Food and Drug, Maricopa County, Kohl's, Crescent Crown, Safeway, The Home Depot and Albertsons. The unemployment rate in Surprise is 6.30%, with job growth of 1.99%. Future job growth over the next ten years is predicted to be 37.70%. Surprise sales tax is 8.50%. Income tax is 3.36%. The income per capita is $24,604, which includes all adults and children. The median household income is $59,973. Click here for a directory of interesting and fun things to do in Surprise, including: Spas; Sports, Golf; Dining & Nightlife; Family Attractions; Outdoor Adventure; History & Heritage; Nature, Arts & Culture; Shopping; and Upcoming Events. Click here for a directory of medical centers/hospitals in or near Surprise. Surprise is served by Loop 303 and U.S. Route 60, which leads southeast to Phoenix and northwest to Wickenburg. Surprise also has several major arterial roads. Public transportation serving buyers of Surprise AZ homes for sale includes: Northwest Valley Dial-A-Ride, Surprise Park & Ride, and Valley Metro. The nearest major airport serving Surprise AZ real estate owners is Phoenix Sky Harbor International Airport (PHX / KPHX), offering international and domestic flights from Phoenix - 31 miles from the center of Surprise. Another major airport is Phoenix-Mesa Gateway Airport (AZA / KIWA), offering domestic flights from Mesa - 61 miles from Surprise. If you are considering selling your current home, I utilize the latest real estate marketing tools on and offline to expose your Surprise AZ real estate property to the widest range of qualified buyers. My foremost goal is to market your property to sell as quickly as possible and for the best price! My extensive knowledge of the Surprise AZ real estate market, and surrounding area, allows me to guide my clients intelligently. Whether you’re looking to buy, sell or invest, my mission is to provide exceptional customer service while assisting you throughout the transaction. Please give me a call today, or fill out the online contact form, and let me know how I can best serve your real estate needs. I look forward to speaking with you!